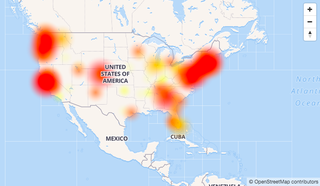 A number of customers, including businesses with Xfinity’s phone service Voice, have been tweeting that their phone lines are down with the hashtag #comcastoutage. But perhaps most troubling are emergency responder lines impacted by the massive outage. The Epping Police Department and Kingston Fire Department in New Hampshire have said their phone lines were down, and while Schuylkill County Emergency Management in Pennsylvania and Greater Spokane Emergency Management in Washington said they weren’t having trouble fielding calls, both informed locals to use their mobile phones in the event of an emergency while the landlines were down.